“Theories Of Light”, the debut of Italian combo Nümph, presents an interesting variation on a sound prevalent during the second half of the 1990s. In essence “Theories Of Light” is a contemporary variation of the atmospheric dark metal sound cultivated by the likes of Alastis, and Tiamat during the 90s. 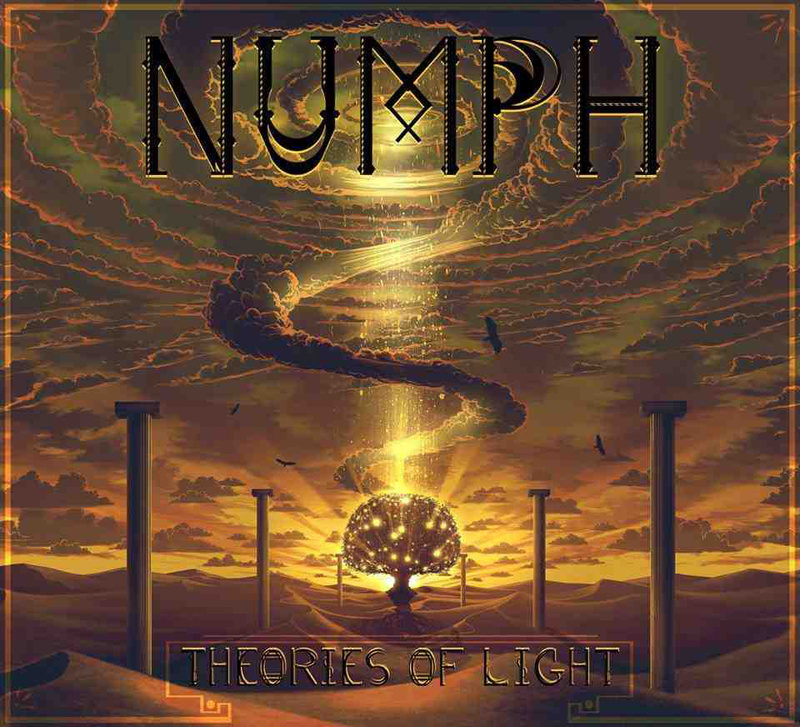 Nümph however takes influences from non-metallic genres, and for the majority of its duration the metallic aspects of “Theories Of Light” are incidental. In fact Nümph could be passed off for a light pop/rock band weren’t it for the occassional foray into heavier, and more riff-centric territory. The main aim of the record is achieving a serene atmosphere of introspective tranquillity, although the band will occassionally wander into more metallic territory within the confines of its main genre. The riffing, whenever it surfaces, tends to be jagged, almost staccato in form that is reminiscent of “Polars” era Textures. However Nümph is at its best when playing atmospherically, cfr ‘Dust Of Souls’ and ‘Death and Rebirth’. The title track, and ‘Deep Impact’ are the most riff-centric and thoroughly metal sounding, whereas the remainder of the album is more atmospheric and breezy. What Nümph lacks in heaviness they complement with atmospherically rich music that isn’t about instant gratification, but gradual acclimatisation to their soothing, fragile sound. That much influence is drawn from outside the metallic sphere should be obvious from the onset. Singer Marco Bartoli sounds like the average grunge singer, and much of the guitarplaying by Luca Giampietri is reminiscent of U2’s The Edge. A good portion of the album is built around breezy, floating melodies that are reminiscent of early Coldplay and post-“Pop” era U2. The prominent bass lines of Antonio Conti truly carry the songs, and much of the record, along with the standard rock drumming of Giuseppe D'Aleo. While being conventionally poppy for the most part “Theories Of Light”, at least through its introspective atmosphere, and through some of its solo’ing, recalls the David Gilmour fronted era of Pink Floyd on more than one occassion. 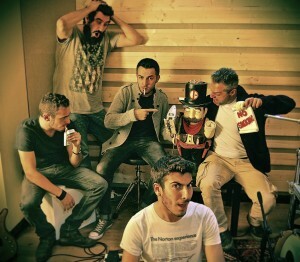 Each member complements the other, but it are the bass licks of Antonio Conti that truly give Nümph its aura. The inobtrusive drumming of Giuseppe D'Aleo strengthens the minimal guitar work of Luca Giampietri. Marco Bartoli’s voice would probably come into it own in a full-blown pop/rock band, and he thankfully isn’t hindered by an obvious accent, or thick inflection. The tranquil opening to ‘Dust Of Souls’ and ‘In Dark Limbo’ especially recalls Pink Floyd. Likewise deal most of the lyrics with esoterica, celestial - and life-affirming themes. ‘Jacob’s Ladder’ refers to the dream of a meeting place between Heaven and Earth. ‘Death and Rebirth’ and ‘Within the Core’ ramps up the U2 influence in terms of melody, and bass playing. In the ways that matter “Theories Of Light” is a reimagining of the unassuming, nonthreatening dark metal sound Alastis pushed on “…And Death Smiled” and “The Other Side” – but far more diversified in terms of influence and execution. It is refreshing to hear a band writing music that isn’t influenced by any modern day trends, and that is ultimately “Theories Of Light” biggest strength. Nümph doesn’t aim to be the heaviest band, but instead focus on emotional resonance through breezy songwriting. “Theories Of Light” was recorded at The Basement Studios, and mixed by Matt Bayles at Red Room Studios, Seattle . “Theories Of Light” was mastered by Ed Brooks at RFI Studio, Seattle. The record is adorned with truly spectacular artwork by Jeffrey Smith for Ascending Storm. It will be interesting to see how Nümph develops from here as they can choose to explore either direction. It would probably be in the best interest of the band to shed what little metallic vestiges they currently still carry, and fully embrace the atmospheric side of its sound. This in turn would allow singer Marco Bartoli to spread his wings, and give bass guitarist Antonio Conti to the room to become a key player. It is unfortunate that “Theories Of Light” seems to dwell within an unmarketable niche, and that Nümph has gone overlooked by many in favor for more easily digestable swill. The lack of industry pressure, and public scrutiny however does allow Nümph to further expand and explore its sound while preparing material for its second full length effort.